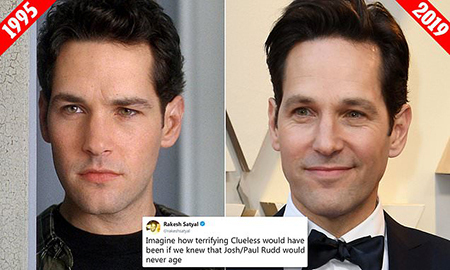 Paul Rudd finally reveals his anti-aging secret among his fans. The Avengers: Endgame fame actor, Paul Rudd turned 50 on April 6. Or maybe he didn't because Twitter can't stop gushing over his good looks and perfect physique. 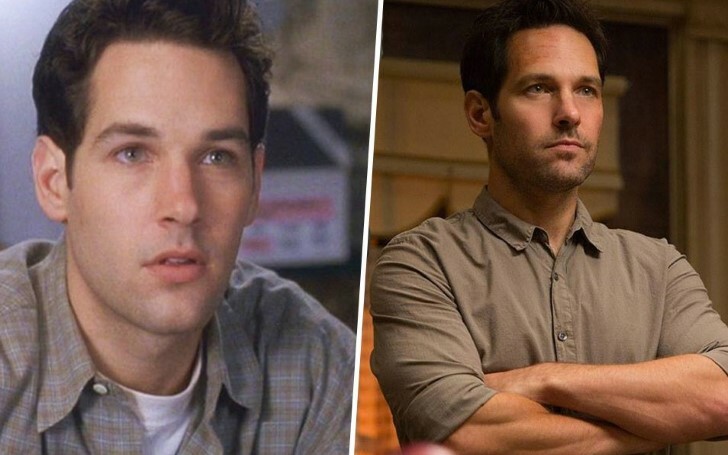 Then and Now: Paul Rudd in his 30s (left) and in his 50s (right). Many of his fans believe the actor hasn't changed a bit since his debut in 1992. Last month, during a Clueless reunion at the Chicago Comic & Entertainment Expo, Rudd revealed the secret to his fountain of youth. "I'm 80 years old on the inside," pointing to his chest, he added: "In here, pure darkness — and a little moisturiser." You Might Like: What Role Will Ant-Man Play in Avengers: Endgame? Here's Everything We Know So Far! People on the internet reacted to the news with skepticism and histrionics. They all started creating their own theory and logic regarding his aging. Others pointed Paul isn't the only actor who manages to look youthful at the 50s, there were other stars too like Jared Leto. The actor is all set to reprise his role of Ant-Man in the upcoming Marvel franchise, Avengers: Endgame which is scheduled to release on April 26, 2019.